Citizen expectations are clear. Leadership is listening. And now agencies must work to deliver on the demand: Make government more customer-focused, more efficient and more effective. Traditionally, Congress appropriates funding to departments and agencies for specific programs, with the agencies and departments using the traditional procurement approach to enter into contracts for those goods and/or services needed to support the program outcomes. The process follows a traditional life cycle of three to five years. How then can an agency deliver on a constantly changing customer environment and create digital services utilizing the best innovation and technological solutions on a continuous basis? For the federal government to perform at its best, these services need frequent care and attention — not necessarily a feature incorporated into time and materials, firm fixed price, and cost-plus government contracts. The use of transaction fees to deliver digital services is commonplace in the private sector and across state governments. It’s a service delivery model often called transaction-based contracting in the federal government. Utilizing modest efficiency fees for the delivery of federal government digital services — transaction-based contracting — would create a public-private partnership especially for missions offering a transaction component directly to the public. Services like registrations, filings, licenses, permits and reservations provided by agencies responsible for land management, transportation, judicial proceedings and health care are all instances in which transaction-based contracts could be used to deliver government digital services. The end result for the government is a low-investment, low-risk relationship with a private sector partner that is held accountable for the life of the service and thereby committed to its success. Under a transaction-based model, one potential option is for the private-sector partner to invest its capital assuming the financial risks of building, offering and/or maintaining the government service, working closely with the agency project team. The incentive would be for the private sector partner to bring the services online faster as they would be paid on a transaction basis by the end users of the solution. Payment comes from the users of the service, ensuring the private sector partner is constantly and consistently focused on the needs of the end user while being efficient and effective with the solution. OMB noted: “Experience with no-cost contracts to support IT requirements has been limited to date,” but “OMB views no-cost contracting as one of a suite of tools that may reduce cost and increase efficiencies in the delivery of Information Technology (IT) services.” No-cost contracting was included in OMB’s publication “Transforming the Marketplace: Simplifying Federal Procurement to Improve Performance, Drive Innovation, and Increase Savings” dated Dec. 4, 2014. My home state of West Virginia is one of over half the states across the U.S. using a transaction model to deliver digital government services. The results are real, including eliminating more than $13 million in infrastructure, application development, customer service, and security- and payment-processing costs. In addition, the private sector, in working with the state, has developed almost 100 digital government services for 79 state agencies and 19 local governments across West Virginia using no-cost contracting. The Department of the Interior, the Department of Agriculture, the Forest Service and the Department of Transportation have experienced similar results using transaction contracting models for delivering digital government services. For government to be able to provide the level of customer service expected today, agencies must look for new ways to deliver results. 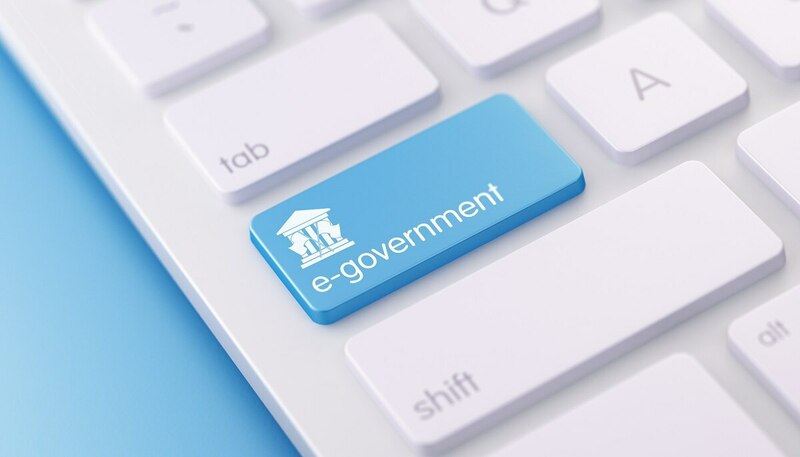 Transaction contracting models require the federal government to recognize its limitations regarding its ability to deliver timely innovative solutions; and it should partner with the private sector in the delivery of digital government solutions with a steady focus on the customer. As agencies look for new ways to meet the demand for more efficient, effective and customer service-focused government, transaction contracting models should be part of that consideration. Karen Evans is a partner at consulting firm KE&T Partners, and former administrator of the Office of Electronic Government and Information Technology at the Office of Management and Budget. She is also national director of the US Cyber Challenge, the nationwide talent search and skills development program focused specifically on the cyber workforce.